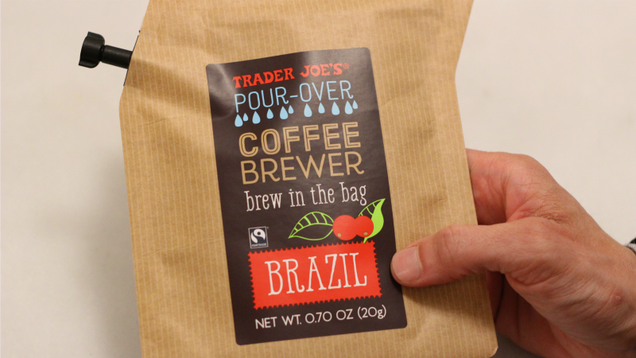 Is Trader Joe's Pour-Over Bag the Ultimate in Coffee Convenience? - Utter Buzz! Is Trader Joe’s Pour-Over Bag the Ultimate in Coffee Convenience? People who really love their coffee are always looking for ways to drink good coffee in spaces that are not conducive to brewing good coffee, and Trade Joe’s seeks to fill this need with a handy little brew-in-the-bag coffee pouch, complete with spout.